Every good post begins with a completely original title. There you have it. This post will be amazing! A much needed burger joint has arrived to Long Island City, Queens. Jurors, fret no more. Your days of visiting the Court Square Diner for a cheeseburger deluxe are over. And for the Manhattanites out there, this joint is worth a (short) trip underwater. So, the burgers. Tender, thinner, outstanding. As you can see from the menu, there’s endless toppings options. I like this. My burger had lettuce, onion, ketchup, mustard, mayonnaise, cheddar cheese, and pickles. Oh, and it was a double. 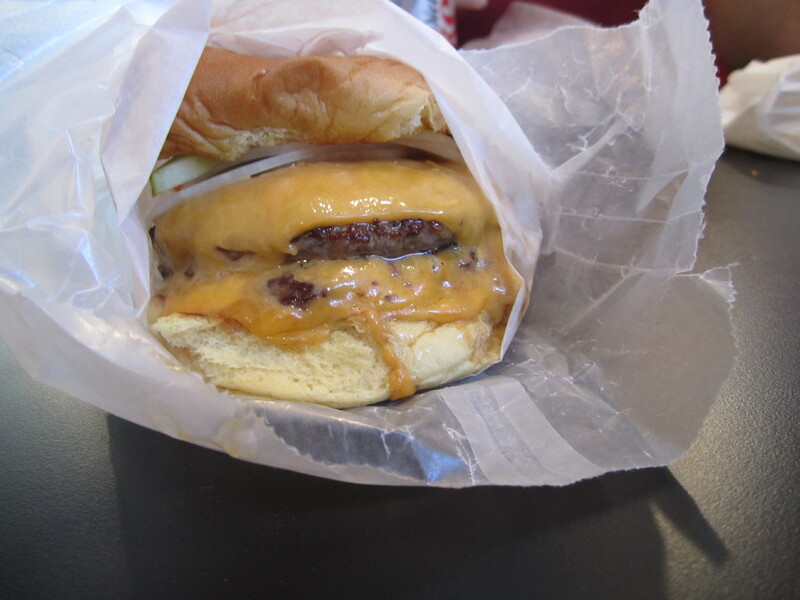 Burger Garage nods to big brother Shake Shack with their wax paper wrappers. A nice touch that made me wonder, Is this as good as the Shake Shack? Not quite, but delicious nonetheless. And the extras. 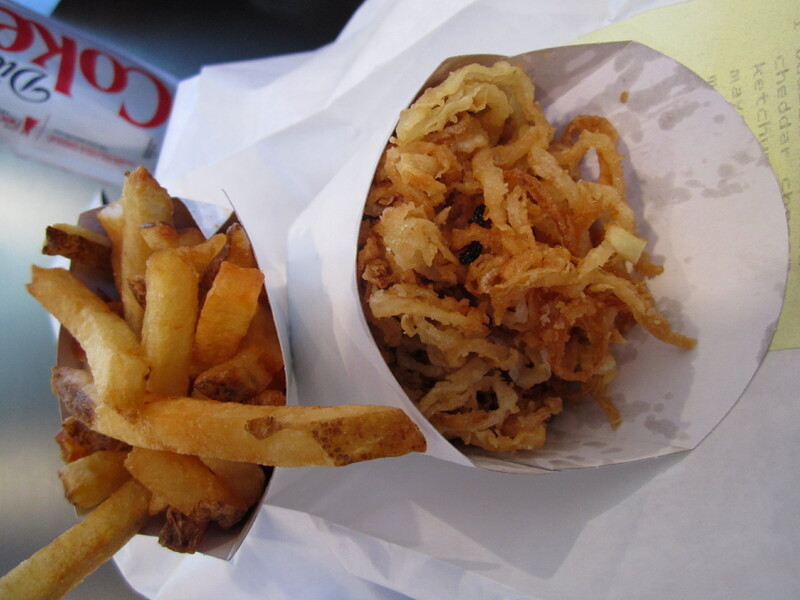 I wouldn’t recommend the fried onion strings which taste more like fried batter than onions. The french fry girth is a contentious matter. I happen to prefer McDonald’s style fries, but I enjoyed Burger Garage’s thicker potatoes. As you can see, they only offer canned soda, which displeases me. I love fountain soda. We tried a thick thick black and white shake on the way out — because I hadn’t quite burst through my clothes — and thoroughly enjoyed it.